"Cries and Screams are music to my ears!" 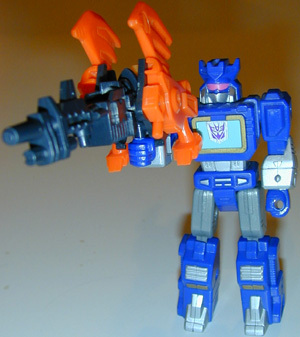 Other Appearances: Soundwave was one of the original Decepticons released 1984. 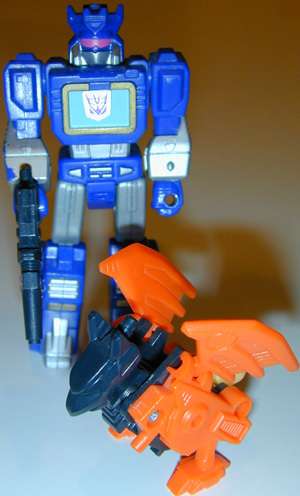 There was also a Soundwave Gobot released in 1995, there was the 1997 Machine Wars Version and even a Soundwave (maximal) released as part of the Beast Wars Mutants line in 2000 (possible, but very unlikely to be the same individual).